Are you thinking of how you can escape the intense summer heat while spending a fun-filled day with your friends and family? Then a visit to Club Manila East is what you need. 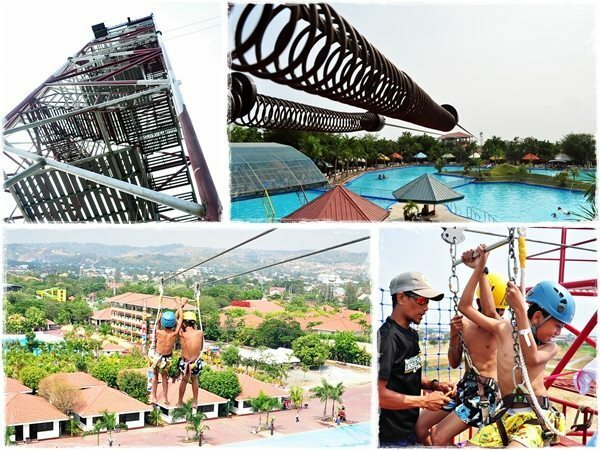 Located in Taytay, Rizal, Club Manila East is fast becoming a choice destination for those who are eager to try out various recreational activities especially during the summer. Now you don’t have to spend most of your time driving for hours just to have that perfect summer getaway. CME offers innovative attractions that will surely make your summer memorable. 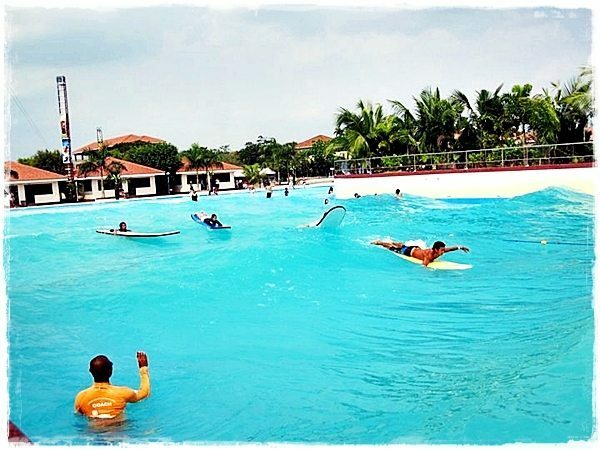 There’s the OceanWave, the biggest wave pool in the Philippines. It simulates the waves of the ocean making it perfect for surfing. All surfing activities are supervised by the Philippine Surfing Academy thereby ensuring the safety of every surfer. Surfing lessons are also offered to those who want to learn the basics of surfing. 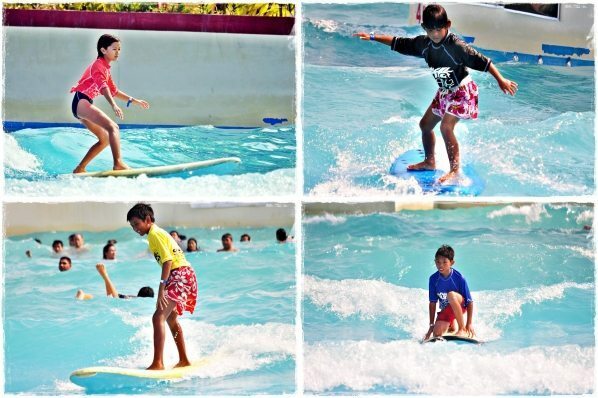 Last April 17, Club Manila East held the 2nd CME Surfing Competition. Organized by the Philippine Surfing Academy (PSA), the event was opened for novice surfers. With categories like kids (under 13), men’s open, and women’s open category, it attracted participants from different age groups. CME also has a diving pool that is 14-feet deep. Guests will get the same adrenaline rush that they get from a cliff-dive. With lifeguards at hand to ensure their safety, guests can try out whatever diving style they want. CME Fly is Club Manila East Taytay’s latest attraction. 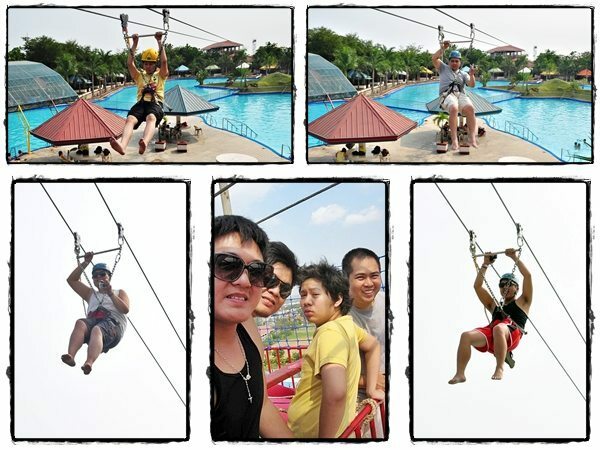 It is a six-storey high, 320-meter long zipline that has, since its soft launch last April 19, attracted lots of guests. For just 150php per ride, guests get to experience what it’s like to ‘fly’ while enjoying a bird’s eye view of the entire resort. Aside from these wonderful attractions, CME has a lot more to offer. Guests can also try the Kiddie Pool with fountains and waterfalls, the Adult Pool that has a 3-looped slide, the Buzzy River, the Beach Waves, and the various activities designed to make their stay as memorable as possible. Watch our video shot in Club Manila East. My husband Montsch, cousin Roel, nephew Kenneth, brothers Nikko and Jerome had a lovely day discovering what Club Manila East have to offer! Thanks Club Manila East. Video edited by our cousin Trixie Ison. Visit Club Manila East and have that perfect summer getaway with your family and friends. Club Manila East would like to know how much you enjoyed the thrill of the CME FLY ride ad they would like to share it to everyone. This contest is open to all guests who tried the CME Fly. Submit a video of the extreme experience and tell them how you feel during the ride. You can use your cellphone camera, flip video, Go Pro like the one we used, or any recording devices. For more info, visit Club Manila East Facebook Account. Club Manila East is a very nice place to visit. 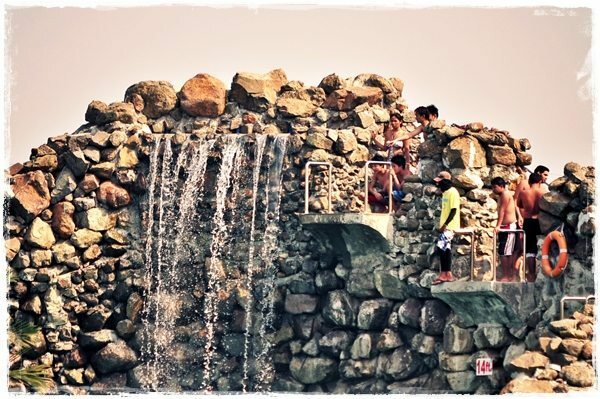 They were able to bring the beauty of the beach in the city of Taytay, Rizal. Now, they have an added attraction for the divers and for those who love the zip line. I can’t wait to visit CME again to personally try its new addition to its roster of attractions. No wonder if it will be one of the best resorts in the Philippines! Dami na pala nadagdag na attractions sa CME. hopefully makapag-save ng budget para makapunta kami ng mga kids. yey! magpapadala daw ng budget si huby. para makapunta kami sa CME. Worst experience. Someone broke inside our room while me and my family were swimming. Before leaving the room, we made sure that the doors were locked, both from the ajoining door connecting the other room and the main door. When we went back, my camera bag including lenses are missing including my wife’s iPhone. We were only thankful that only these things were taken, but what if my kids are inside the room and someone broke in. Who knows what might happen. I wouldn’t recommend Club Manila East, especially if you have with you your cameras or some gadgets. Security in the area is very poor. The only security we saw is in the main entrance. In the area where overnight accommodation is, there are no security in sight. This happened June 18, 2011.
kelan pa kaya ako punta dito? haay excited nako, bale hindi ko na lang pagdadalahin ng mamahaling gamit yung mga kamag anak ko, saka hindi naman kailangang magdala ng napakalaking pera kung magsi-swimming lang naman kayo ng buong araw. Siguro may kulang rin sa resort para sa mga naghohotel for overnight stay kasi dapat meron silang mga camera sa mga lugar na common ang nakawan para maprotektahan mga customers nila saka yung sa cabana tama nga na tinanggal na nila yung mga lock ng pinto para magiwan na lang ng mga bantay bawat namamasyal. Kahit saan naman may mga nangyayaring nakawan kaya dapat lagi talagang nag-iingat saka wag masyado nagdadala ng mamahaling gamit kung hindi naman kailangan pero kung wala naman kayo mamahaling gamit kagaya ko, eh wag na kayo mamoroblema kagaya ko kasi malamang kahit 5k lang dala mo ay sapat na. Salamat sa mga nagwarning at least aware kami na mag ingat bago pumunta dun pero hindi naman siguro maganda na hindi kami pupunta dun dahil lang sa nanakawan na nangyari sa ibang tao kasi maganda yung lugar para sa mga bata.